Paige is just like every other kid. She goes to school. She practices her violin. She plays outside. The only problem is, she cannot quite see the chalkboard, her sheet music, or anything else! 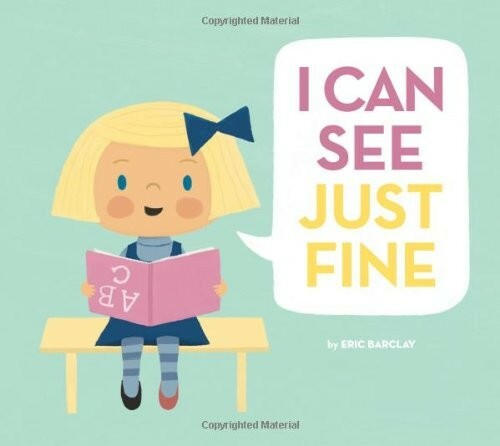 Despite Paige's repeated refrain of "I can see just fine," the comical illustrations portray a different story. Paige's parents decide it's time for her to visit the eye doctor, despite her protests. But Paige's stubbornness quickly dissolves as she braves an enthralling eye checkup, enjoys a playful frame selection, and, most importantly, ends up with perfect eyesight! 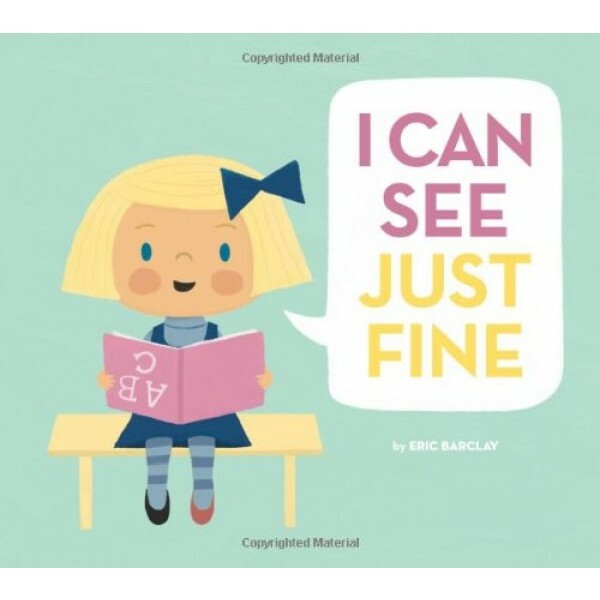 Barclay successfully depicts a very real and relevant issue with lightheartedness and gentle humor. Young readers will relate to Paige's journey and celebrate her triumph of seeing clearly in the end.